Based on the book of the same name by actor Peter Turner, Film Stars Don’t Die in Liverpool tells the story of the romance between the author (played here by Jamie Bell) and his self-proclaimed one true love, Academy Award winner Gloria Grahame (Annette Bening), in the days leading up to her death in October 1981. I say “self-proclaimed” because I fail to buy into it for the vast majority of the film. Bell and Bening have some cute moments, bonding over their mutual loves of acting, disco, and the movie Saturday Night Fever, but the chemistry between the two of them just isn’t there. The film does have some redeeming qualities, of course, particularly in the cinematography. It’s beautifully shot from top to bottom. The lighting is exquisite and the coloring is sensual. Both components work together to play on the central romance presented. It can get distracting in certain scenes, but not to the extent of weakening the overall product. The only truly effective part of the film in terms of performances – to me, at least – is a little over an hour in. The film recycles the same set of flashbacks twice, telling the story about the downfall of their relationship from both Peter’s and Gloria’s perspectives. It highlights the flawed, incomplete interpretation of the same set of events by both characters. But like Gloria’s decision to try chemotherapy two years after her initial radiation treatment, it may be too late to save the day. Jamie Bell can take solace in at least one fact: It could be worse. It could be Fant4stic. I’m not quite sure I can say the same thing to Annette Bening. Film Stars Don’t Die in Liverpool drives off with two out of five stars. Amateur filmmaker living life with the same zest and zeal as Pete Carroll chews his gum. 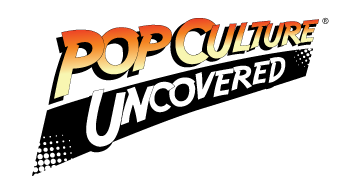 Check out updates on my projects and my latest thoughts on film and TV on Pop Culture Uncovered, on Twitter @TheAndyEps, and on Facebook.